Posted on March 13, 2012 August 30, 2015 by SherylPosted in Food, recipesTagged potatoes. Sheryl, I love potato cakes! Mom used to make them for us when we had leftover mashed potatoes. 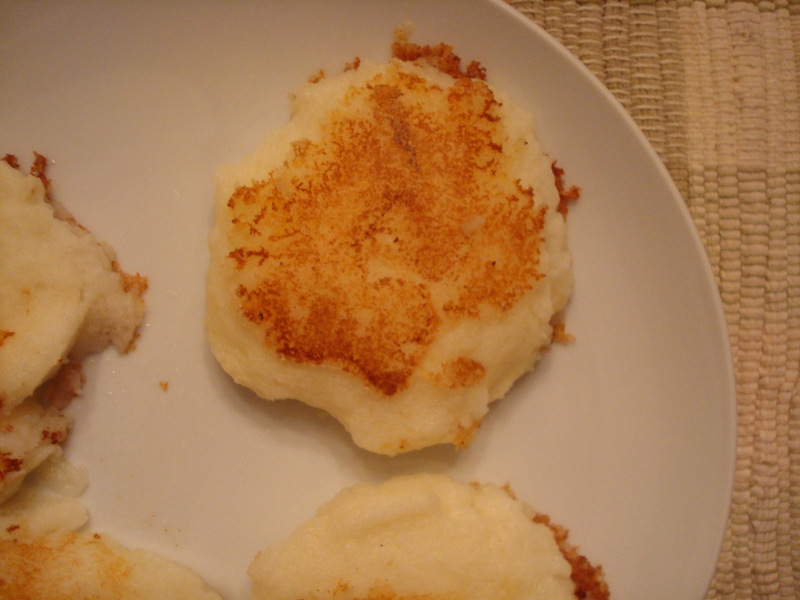 I believe she added egg and flour to them as well, so they were more like a potato pancake. Very good though. My mother made them as well and added an egg. I make them regularly, although mine don’t turn out as golden as your photo. Maybe I’m not using enough hot grease. No Penn. connection either. It’s interesting how different people make recipes with slight variations. I suppose the egg would help keep the potato cakes from falling apart–though I didn’t have any problems. I think you’re right that it’s important that the grease is hot. I’m also a real fan of cast iron pans–I think that the thickness of the pan results in the heat being spread very evenly and that things brown really nicely. No, I haven’t been to Arby’s in years and didn’t know they made them. Are they good? Looks good, though I didn’t read through the recipe. I really have to go through your recipes sometime and try to make a few!